He was having breakfast in the garden on a sunny day in Vienna and it reminded him of a peaceful sanctuary. A perfect start before a day filled with difficult negotiations. It's going to be a long day, he thought with a bit of exhaustion on his mind, as he sipped his espresso. Suddenly out of nowhere, something pulled him away from his thoughts. He glanced at the perfect figure approaching the table next to him, it was as if she was moving in slow motion. His world stopped for a second and so did his heart, She was stunning. Her beautiful long black hair was flowing in the wind, her summer dress tastefully complimented her body. He couldn’t help but stare and she noticed. With a smile on her face, she wished him good morning, while sitting down. Her kind face encouraged him to ask her if she would like to join him at his table. Although a bit surprised, after brief moment of considering, she said, “that would be lovely?”. He completely forgot all about his busy day as they chatted and laughed about little nothings. With every moment, she was more and more appealing to him. Her mind was just as beautiful as her face. She awoke something in him that he thought was long gone. The whole day was a blur, all he could think about was how he couldn’t let this day end. He wanted to see her tonight again for dinner and drinks at the Collio Restaurant. She was special, he thought... he wasn't going to let her go. 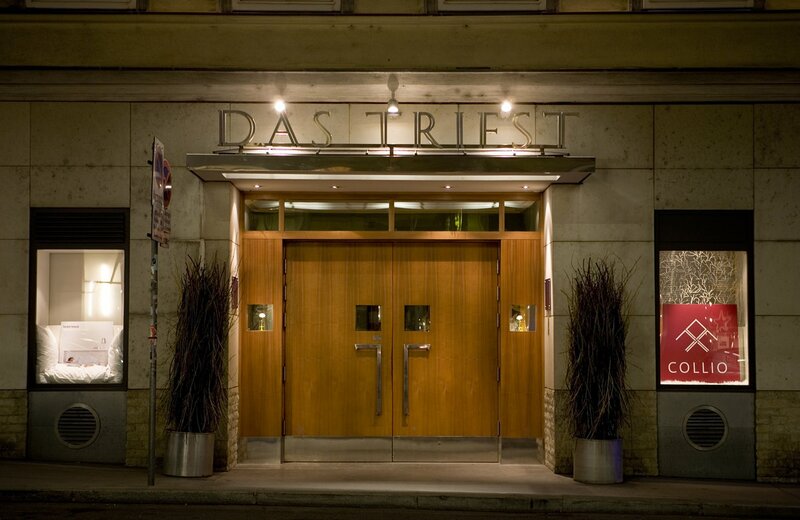 "A home away from home“ – the hotel Das Triest is a unique place featuring a cosy atmosphere. It is not only the caring employees and the stunning setting, which are contributing to our guests’ special holiday experiences, but also its longstanding history. Once staging post on the horse-drawn mail couch route between Vienna and Trieste, today the Das Triest is an outstanding hotel combining history and contemporary yet timeless interior design. 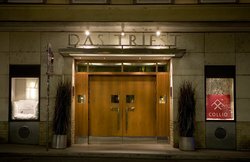 In 1995, the hotel was completely refurbished by the English architect Sir Terence Conran and reopened as the first Designhotel in Vienna. In 2018 the hotel started into a new chapter and opened new rooms and suites designed by Wehdorn Architects. Early check-in/late check-out upon availability. Special surprise RockStar drink at our fancy hotel bar. Early check-in/late check-out upon availability. Breakfast served in bed. The junior suites with a size of 45sqm are designed by Sir Terence Conran and Wehdorn Architects. They offer comfortable king or queen size beds plus chill out area, a beautiful view of the courtyard or the city center and provide capacity for up to 3 persons. Exclusive Bang & Olufsen Flat Screens with Google-Chromecast. Room only rate. rate includes WIFI, all taxes and levies. Full prepayment is required at time of reservation. Booking is non changeable and non refundable in the event of a cancellation. Room only rate. rate includes all taxes and levies. Booking must be cancelled 1 day prior to arrival to avoid penalty fees of 1 night. The generous and quiet deluxe rooms with a size of 35sqm offer comfortable king or queen size beds with a nice view to the city center or in the inner courtyard. Designed by Sir Terence Conran and Wehdorn Architects. Exclusive Bang & Olufsen Flat Screens with Google-Chromecast. Capacity up to 3 people. The spacious superior rooms with a size of 25sqm offer a comfortable king or queen size beds and nice view to the city center or in the inner courtyard. Designed by Sir Terence Conran and Wehdorn Architects. Exclusive Bang & Olufsen Flat Screens with Google-Chromecast. Capacity up to 2 people.